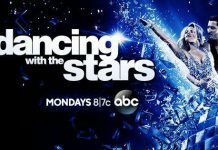 ‘Dancing With The Stars’ Season 24, May 15 Recap Semi-final Results; Who Reached Top 3? Dancing with the Stars Season 24 May 15 episode has witnessed some of the best dance performances by the contestants. This week the contestants performed two dances. Read to know more. In this episode, the contestants have been asked to perform one dance style that they have not performed so far in the contest. And another was Judges Challenge Dances. Before revealing which pair danced on which style, take a look at the current Top 4 dancing pairs here. What Did They Perform On May 15? Normani Kordei & Valentin Chmerkovskiy performed Viennese Waltz style on the song “Desperado” by Rihanna, Chose by Len Goodman. David Ross & Lindsay Arnold showcased Foxtrot style on the track “You Make Me Feel So Young” by Michael Bublé, Chose By Julianne Hough. 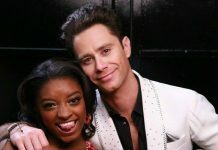 Olympic champion Simone Biles & Sasha Farber danced to Jive on the song “Faith” by Stevie Wonder featuring Ariana Grande, chose by Carrie Ann. And last but not the least Rashad Jennings & Emma Slater performed sensational Rumba style on the track “Say You Won’t Let Go” by James Arthur, Chose by Bruno. In this section, Simone Biles won the hearts of the judges and scored a complete 40/40. While David Ross & Lindsay Arnold scored a low total of 34/40. Couple David Ross & Lindsay Arnold danced on the Tango style of the track “Castle on the Hill” by Ed Sheeran. This was followed by the dance performance of Simone Biles with Sasha Farber. They performed Rumba on the track “Skyscraper” by Demi Lovato. And finally, Rashad Jennings & Emma Slater did Quickstep dance style on “Yes I Can” song by Superhumans. In this round, pair Normani Kordei & Valentin Chmerkovskiy and Simone Biles & Sasha Farber scored 40/40. Again, the pair of David Ross & Lindsay Arnold scored a low score of 36/40. Who Was Eliminated On May 15? Olympic champion Simone Biles and her partner Sasha Farber were eliminated this week. Despite scoring the perfect total the audience does not seem to be impressed with their dancing. I am furious!! Dancing with the Stars was BS tonight!!! 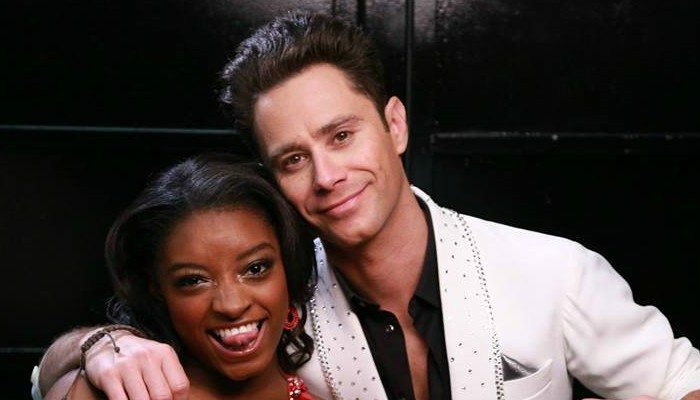 @Simone_Biles and @SashaFarber deserve to be in the finals!! Next week on ABC, Dancing with the Stars Season 24 finale will take place. Previous article‘The Voice’ Season 12 May 15 Recap Semifinals: Top 8 Artists Perform; Top 4 Finalists Revealed? ‘Dancing With The Stars’ 2017 Finale May 22 Recap: Who Will Win Mirror Ball Trophy? ‘Dancing With The Stars’ Season 24: Simone Biles Reveals Crying After Judges Disappointment; Who Reached Semi-Finals?